When my husband and I found out that I was pregnant (over 7 years ago now!) one of the things that we were most looking forward to was the opportunity to develop our own holiday traditions. The fall-winter holiday season is something that my husband and I both absolutely love, so getting to enjoy it with a little one was so exciting! Spending the holiday as a family, doing our family traditions, is our One Big Happy! Each year before Thanksgiving we get Mia's holiday photos done! Since her birthday is shortly after Christmas we combine the two events into one photo shoot. I love that Gymboree helps to make this One Big Happy moment even more special by providing beautiful head-to-toe looks to make her photos perfect! 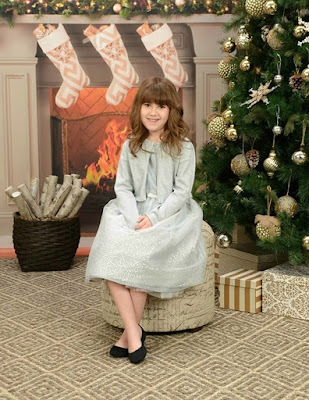 We love using her holiday photos to send out holiday cards to our family. It is important to us to spread holiday cheer to all of the people that we love and care about. 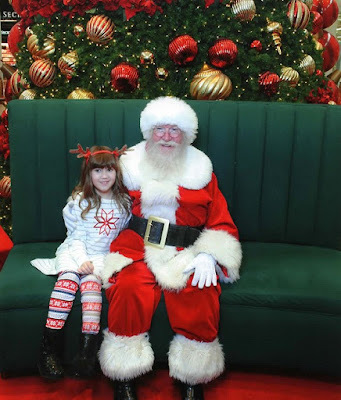 Each year my husband and I take Mia to see Santa at a local mall! We love picking up a cute holiday themed outfit for her to take her Santa photo in. I love that each year we can put her Santa photos next to each other and see how much she has grown since her first Santa photo when she was 10 months old! This year at Gymboree in their accessories section we found a reindeer antler headband, seriously, how cute is that?! 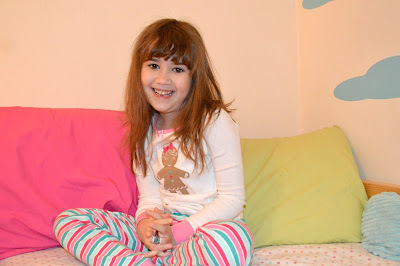 One of our absolute favorite Christmas Eve traditions is putting on a new pair of seasonal or holiday pajamas. I always find a pair that Mia and I love at Gymboree! We spend Christmas Eve visiting family so once we get home Mia gets into her Gymmies, puts out cookies and milk for Santa, gets some carrots for the reindeer, gives kisses, and climbs into bed! Once she is in bed her and I always read some Christmas themed stories before she falls asleep! My husband and I have carried on part of his family tradition as well. While we finish our last minute wrapping, get gifts together, and prepare for the morning we order Chinese food! On Christmas morning we spend the morning opening gifts and have cinnamon rolls for breakfast. We made them for breakfast on my daughter's second Christmas and since then she requests them each year! It became a tradition that we started by accident! We spend the rest of the day enjoying each other's company, building new toys, and having a big Christmas dinner. I love that my husband, Mia, and I have had a chance to start our own holiday traditions. Together all of these priceless moments and memories make #OneBigHappy holiday season! What is your One Big Happy?! Let us know in the comments! To celebrate your One Big Happy moment Gymboree is sponsoring a giveaway for one of our lucky readers to win a $150 Gymboree gift card! Enter below! My one big happy is my family.